Sometimes something impresses you when you see the facts about a game, and today we were surprised that just two people are behind this impressive title! The video above is gameplay from Mad Fellows and Reverb Triple XP’s latest game revealing their Aaero release date and some gameplay too. The game is a high-velocity, music-fueled action shooter and will be launching on April 11 for Xbox One, PlayStation 4 and PC via Steam. And we have to say it all looks great. The game looks impressive and incorporates a big focus on music too with what is expected to be a great soundtrack. Check out the video above from our (very LIKEable) Facebook Page or the YouTube version below. Down the page is some further details Aaero too. Don’t forget to help these smaller studios out by sharing this on social media! 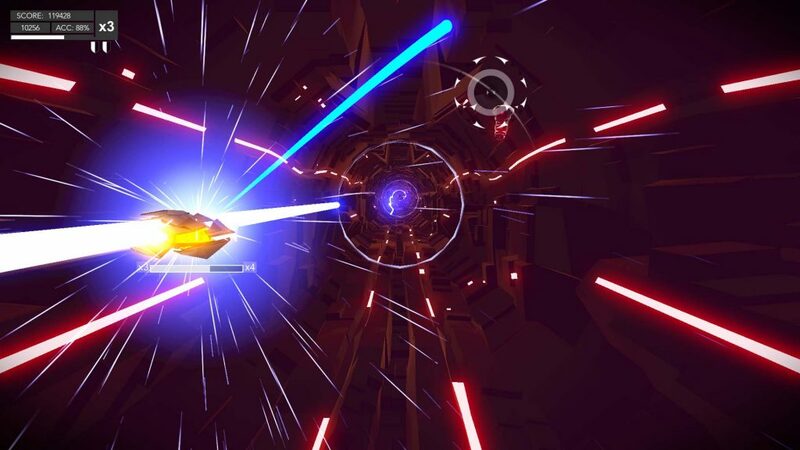 Independent two man, micro-studio Mad Fellows bring you Aaero, game that synergizes high-speed sci-fi shooting action with immersive music elements to deliver an amazing audio-visual experience. Speed through stunning, stylized environments as you trace ribbons of light, all the while releasing the energy in the game’s music. Encounter strange enemies, evade incoming obstacles, and overcome epic boss battles — all driven by an incredible licensed soundtrack from Noisia, Flux Pavilion, Katy B, The Prototypes, Neosignal and many more. Aaero will be available on Xbox One, PlayStation 4 system, and PC via Steam on April 11. To learn more about Aaero, please visit www.madfellowsgames.com and follow its development on Twitter@MadFellowsGames for all the latest developer updates and news.